This is a Giant Dahlia in so many ways. The colour, the size, the impact of one single bloom! Are you looking for huge flowers? If so, then these extra large versions of the Decorative Dahlia are definitely the right choice. With flower heads the size of dinner plates (9-11 in, 23-28 cm) they’re certainly a feast for the eyes! 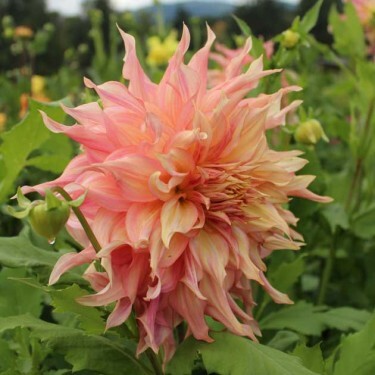 Originating from Mexico and Guatemala, these were the flowers of Inca kings and despite their royal origins Dahlias are amongst the easiest plants to grow in the garden.